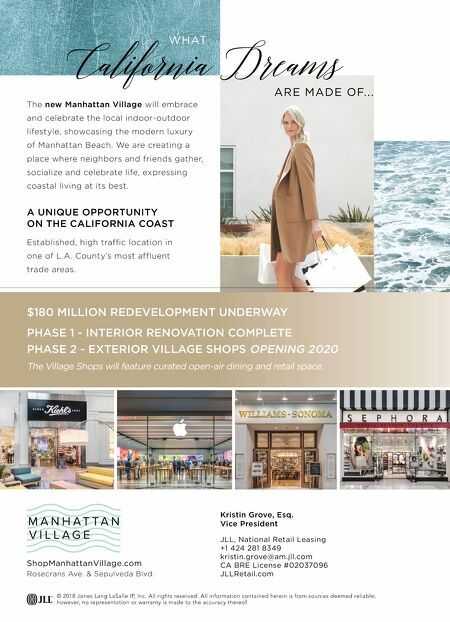 California Dreams ARE MADE OF... WHAT The new Manhattan Village will embrace and celebrate the local indoor-outdoor lifestyle, showcasing the modern luxury of Manhattan Beach. We are creating a place where neighbors and friends gather, socialize and celebrate life, expressing coastal living at its best. A UNIQUE OPPORTUNITY ON THE CALIFORNIA COAST Established, high traffic location in one of L.A. County's most affluent trade areas. 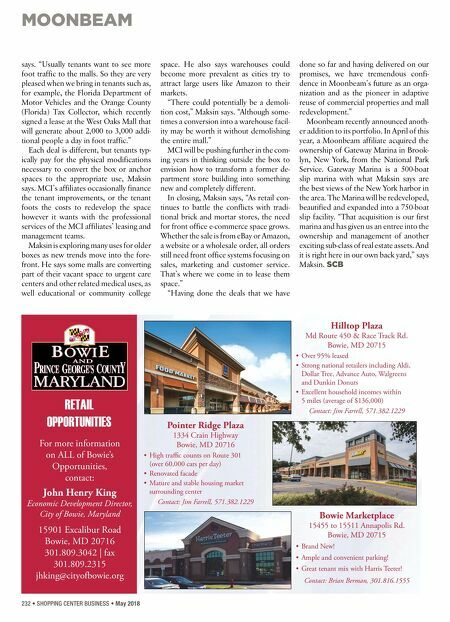 $180 MILLION REDEVELOPMENT UNDERWAY PHASE 1 - INTERIOR RENOVATION COMPLETE PHASE 2 - EXTERIOR VILLAGE SHOPS OPENING 2020 The Village Shops will feature curated open-air dining and retail space. © 2018 Jones Lang LaSalle IP, Inc. All rights reserved. All information contained herein is from sources deemed reliable; however, no representation or warranty is made to the accuracy thereof. Kristin Grove, Esq. Vice President JLL, National Retail Leasing +1 424 281 8349 kristin.grove@am.jll.com CA BRE License #02037096 JLLRetail.com ShopManhattanVillage.com Rosecrans Ave. & Sepulveda Blvd.